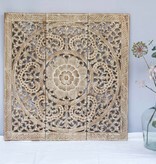 Wall panel Design ORNAMENTO, authentic wooden carving | Simply Pure - simply pure. Looking for an exotic eyecatcher for in your house? 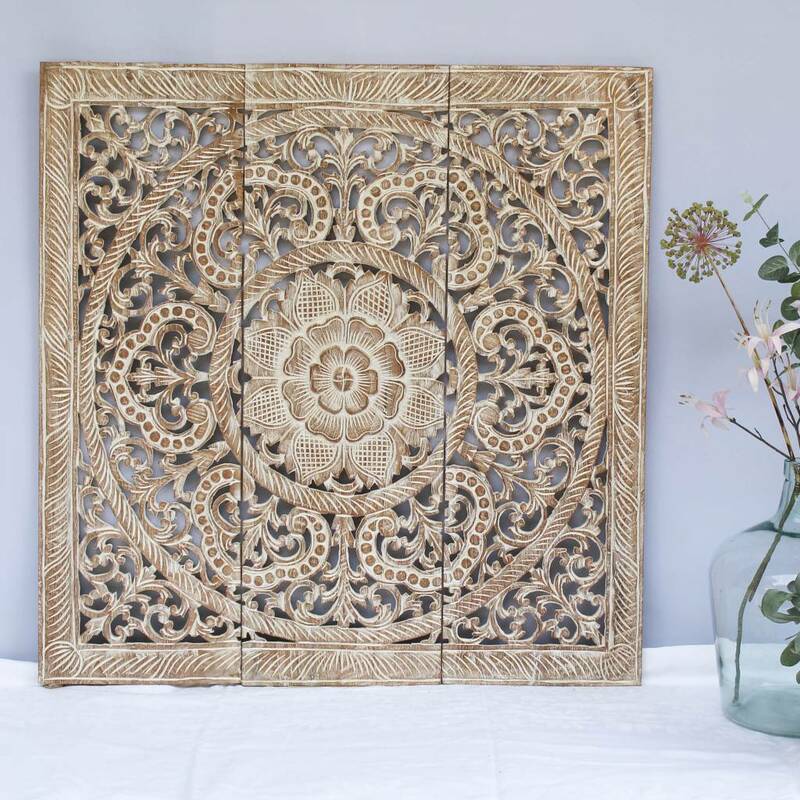 The stylish wall panel Design ORNAMENT is hand carved by artists in the lush mountains of North-Thailand. The wood carving shows a sacred lotus in full bloom. This flower is in many Asian cultures a powerful religious symbol for divine beauty. The Thai artists carve a small Design ORNAMENT wall panel in a couple of weeks, the bigger versions take 3 to 6 months. The trendy wall panels are suitable as decorations for a variety of rooms, such as a living room or bath room, but also an office or hotel room.